Search the top Arkansas RN to BSN Programs. Our comprehensive guide includes detailed information on becoming a Registered Nurse and degree requirements and details on Arkansas RN to BSN Programs. The quaint state of Arkansas provides a wealth of opportunity for those working in the medical field. More specifically, the field of nursing is a growing field that draws in new students every year. With the population at 2.9 million, Arkansas’ growth has spiked the need for qualified nursing professionals. In the field of nursing, individuals provide assistance to physicians in numerous settings. Nurses are found in hospitals and doctor’s private offices, as well as schools and even some businesses. One aspect that many don’t realize is an option for nurses is hospice care or going into various at-home healthcare options for people. A nurse is an invaluable resource for hands on healthcare and assistance. Individuals that are already registered nurses can now engage in higher education to promote success in their careers. 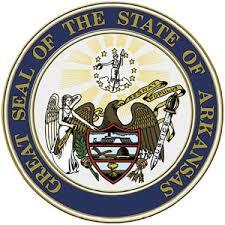 For those wanting to further their education in nursing, RN to BSN programs are available in the state of Arkansas. Arkansas offers 10 different programs that lead current RNs to a Bachelor of Science degree in Nursing. The importance of a bachelor’s degree in today’s world is high. Most employers have found that traditional 2 year nursing programs do not provide some of the most important information needed to be an effective registered nurse. Having a bachelor’s degree can further job opportunities as well as provide a gracious rise in annual pay. On average, those with a Bachelor of Science degree in Nursing earn $56,480 per year while working in Arkansas (source). Nursing has grown to be a preferred line of work throughout the country. With the population of Arkansas on the rise, the need of qualified nurses will also grow. Arkansas could potentially see regulation changes that increase the level of their responsibilities so ongoing education and certifications could be important. The medical field is a constantly changing category, with new innovations providing new techniques for patient care. The only thing about the medical field that will remain steady is the need for professional nurses to administer these new techniques and assist doctors with ensuring that all patients are treated with dignity. RN to BSN programs in Arkansas provide learners with addition knowledge in the field of nursing including social concepts, communication, and other business aspects. The additional knowledge gained within these programs will assist nursing professionals in moving forward to a profitable career throughout the state. The RN to BSN programs allow current registered nurses to continue working while gaining new concepts through flexible in class learning and even online options. Keeping fresh with the new requirements for nursing will give professionals comfort in knowing that they will be forever stable working in the medical field.